Crisis communication plays an important role in maintaining a community's safety and security. While governments devote significant attention to national crises, anticipation and preparation specific to local communities is imperative and can assist media outlets, elected officials, and message designers in successfully reaching their intended target audiences. However, local leaders might not possess the communication skills and knowledge needed to prepare a local community for potential crises. Therefore, there is a need for communities to have support systems in place to help them respond and communicate appropriately. This volume provides a comprehensive resource that provides the knowledge and guidelines that can be used for localized crisis preparation. 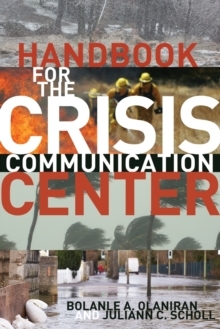 Focusing on crisis preparedness/readiness, it discusses and extends the anticipatory model of crisis management (AMCM) in the establishment of crisis communication centers (CCCs) within local communities and municipalities across the U.S. 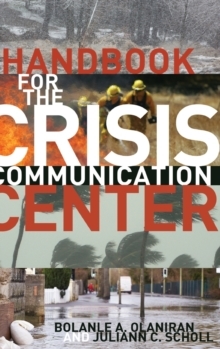 The authors advocate for communities to create CCCs that would be comprised of municipal and community members who can fulfill specific functions on a team tasked with preparing for crisis, as well as responding to a crisis aftermath. Directions for future research such as the comparison of specific crisis prevention strategies across similar local communities, and developing new and innovative ways to collect and warehouse large amounts of crisis data, is provided.